With a new art teaching gig at Halo House—Halo, Georgia’s posh independent living home—and Halo society scrutinizing her family and her love life, Cherry Tucker needs to stay out of trouble. However, her sleuthing skills are sought out by Halo House’s most famous resident: Belvia Brakeman, the ninety-year-old, blind CEO and founder of Meemaw’s Tea. Belvia confides in Cherry that the family tea empire is in jeopardy. The CEO suspects her daughter has been murdered and she might be next. 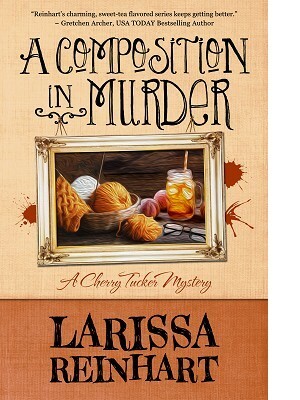 Her offer is hard to refuse, but will have Cherry treading on Forks County Sheriff toes, namely her personal Deputy Heartache, Luke Harper.